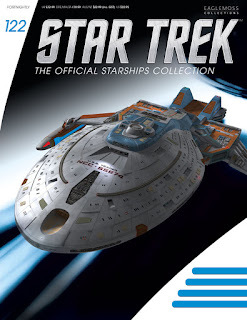 Got lots of Eaglemoss Starships Collection updates today, including first looks at several new ships, new images and video of a few more, and other news from the series. 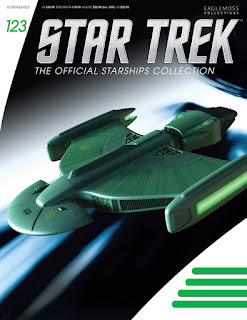 Continue below to check it all out. 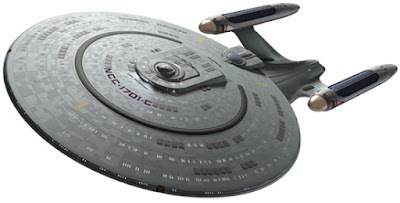 Two new regular issues were also solicited. 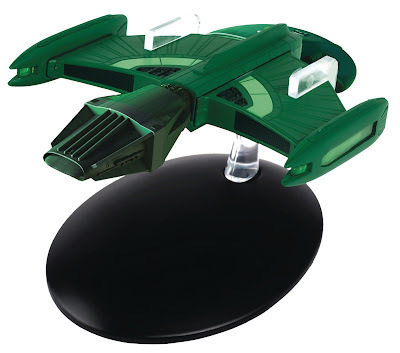 Issue 123 is the Romulan Science Vessel. 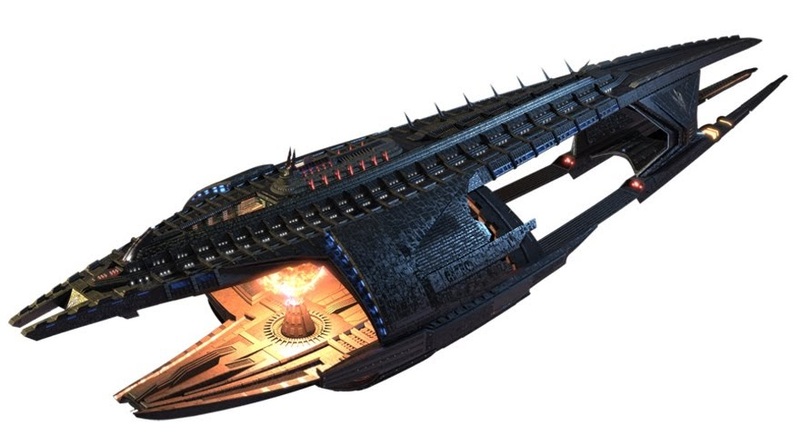 The image released appears to be a mock-up, smushing together the photo of the identical central body shared with the previously released Romulan Scout Ship, and the unique elements of the science vessel added on from a rendering. 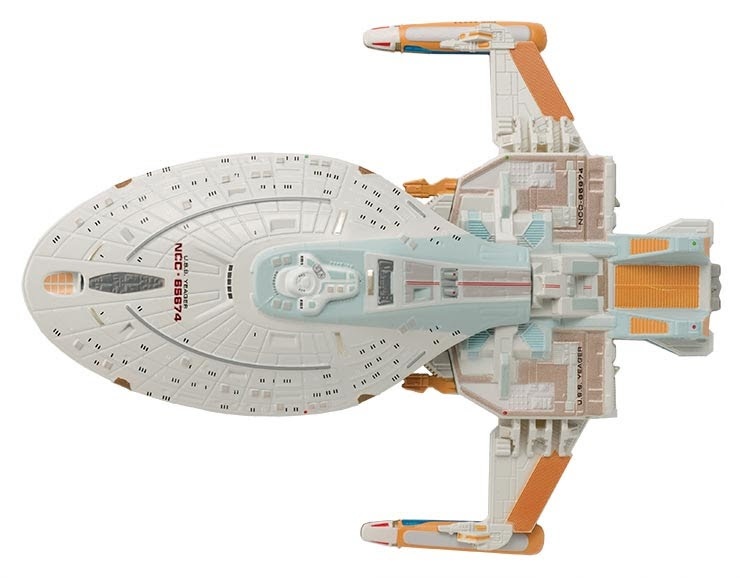 This ship has also only been available as a gaming miniature before, so the bigger model should be a big step up from that. 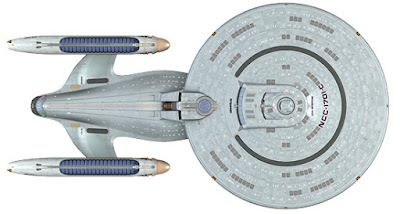 Issue 124 is a bit of a curiosity, the SS Emmette, from the opening titled of Enterprise. This very obscure design has never been available before. There are also solicitation covers for both of the regular issues' magazines. In a more curious preview article, StarTrek.com have used a collection of renderings rather than shots of the models themselves, to interest readers in Eaglemoss' latest concept art bonus issues, the Phase II USS Enterprise, and concept art USS Enterprise-C. 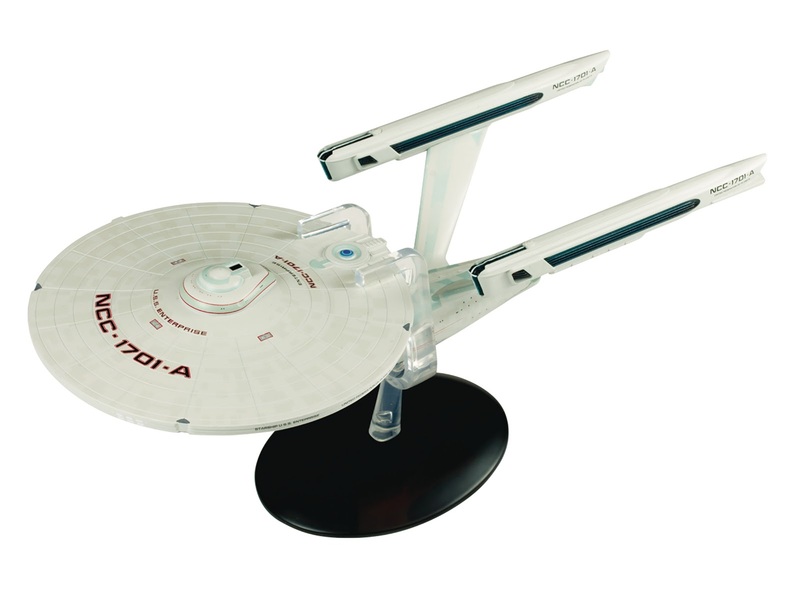 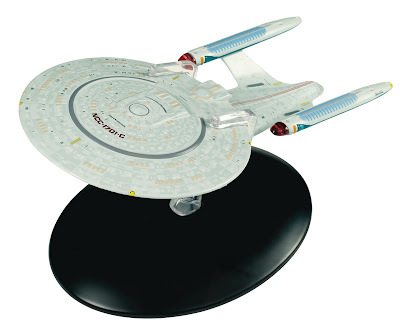 While both of these ships are already available via Eaglemoss, the Enterprise-C has yet to see wider release. But it too was part of the latest batch of solicitations, so should be available at other retailers soon as well. 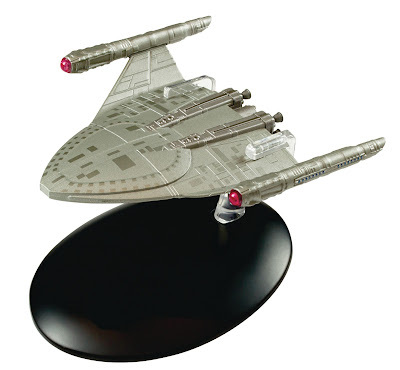 The solicitation included this new image of the model. Eaglemoss have also released a batch of new turnaround videos of models. 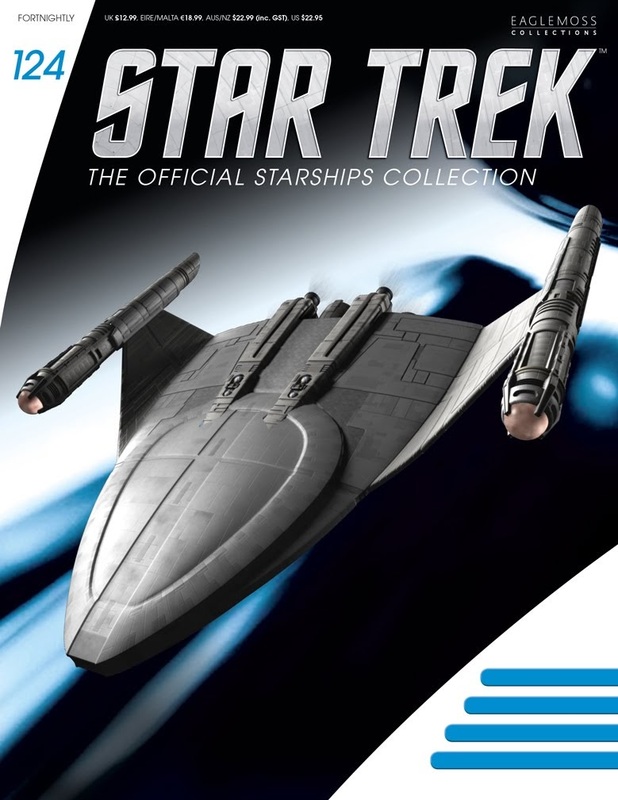 The recently released attack mode Klingon Bird of Prey, issue 107, plus their three mirror universe variant issues, the ISS Enterprise NX-01, ISS Enterprise NCC-1701, and ISS Defiant. 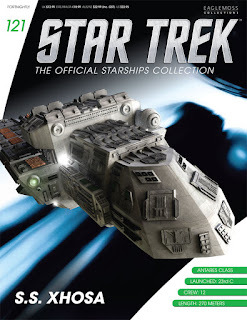 Finally, we also have some little updates on the Discovery collection. 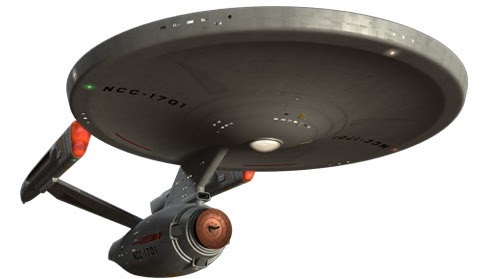 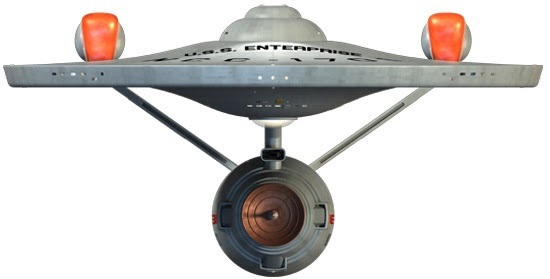 On Twitter, series manager Ben Robinson has confirmed the new look USS Enterprise will be coming to the collection. In another tweet he mentioned information on subscription extra items will be coming soon. 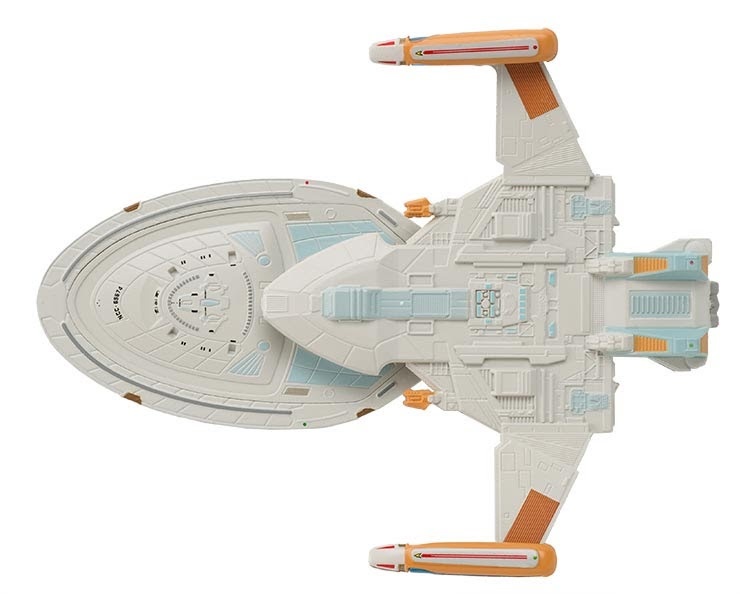 Meanwhile StarTrek.com have updated their database with a new rendering of the ISS Charon, giving us a nice clear look at a ship expected to be an oversized special when Eaglemoss get to it. 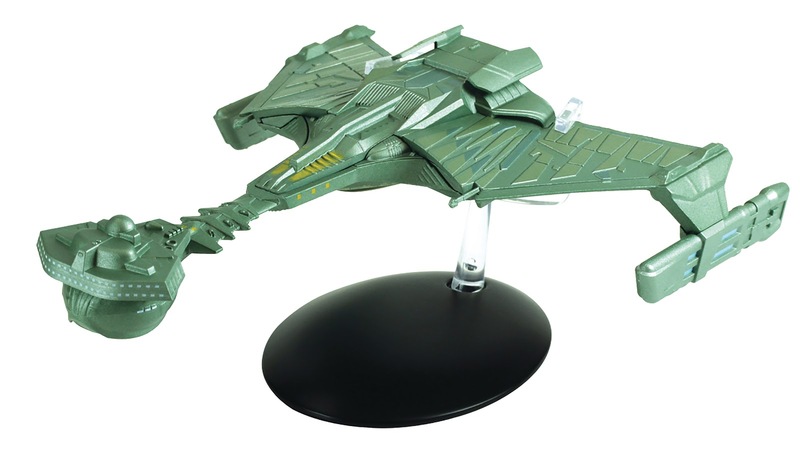 The Charon looks a lot like a DSC version of the Planet Killer. 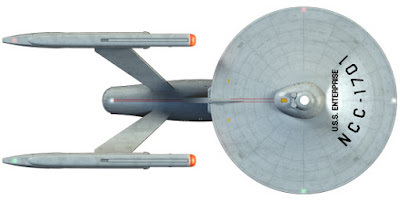 I wonder if there's some reason for that beyond just inspiration from TOS.